When it comes to the comparison between the Vornado 630 vs 660 there are a few differences between the two fans, but there is one major fundamental difference. It is important to know that difference before you buy as it could be the deciding factor between buying one fan and the other. Read on to find out what the major and minor differences are. I think we can all agree airflow is one of the most important considerations when buying a fan. 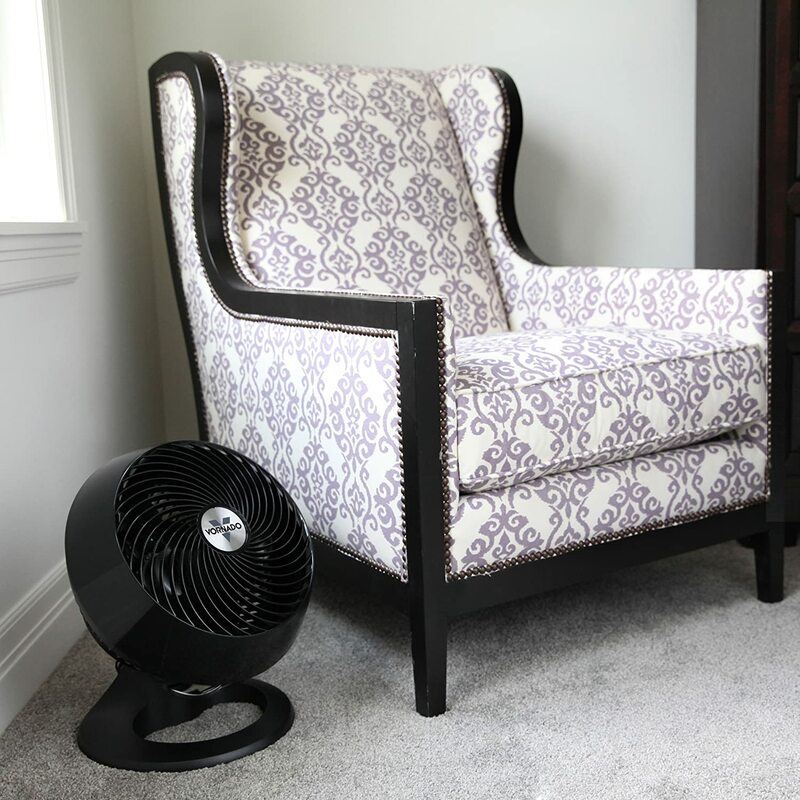 You may want a powerful fan to help cool down a large room or one that is more mellow for a smaller room you might be working or relaxing in. Either way it is an important factor and funnily enough, it is an important distinction between these 2 fans and one that might determine which fan you might want to choose. To give you a rundown of the difference of air flow we can look at the CFM of each fan. The CFM is a way to measure the airflow output. Those numbers are great and all but to put it in context of Vornado themselves, the 630 moves air up to 75ft and the 660 moves air up to 100ft, so the 660 is a bit more powerful and better for larger rooms. In short, the 660 is the more powerful fan and better for larger rooms/areas. Knowing the above information, that the 660 is the more powerful, more often or not you can assume that the sound output is going to be a little higher. And that is the case with these fans. While on the highest setting on the 630 produces a sound output of dB: 52. While to most people, the difference may be negligible but for those of you that may have the intention of using these fans in your bedroom, this is something that will be taken under far more consideration. Sometimes the design of the fan can be the difference between a good fan and an annoying one. Luckily, there is not a lot of difference in terms of design for the most part. The major difference in the design of these two fans is in the placement of their speed controls and how you actually change the speeds. On the 660 there is a digital control system where you press buttons to move the speeds up or down and this is located at the top of the fan. The 630, however, has the location of the speed control placed near the bottom on the fans legs. Another design feature worth mentioning is the extra grooves that the 630 has. It is worth mentioning as this could create an extra area for dust to setting and therefore require more cleaning. Other Differences and things to note. One of the things I really like about Vornado as a company is that they back their products and offer a 5-year warranty so you can feel comforted knowing if something goes wrong you will be cover. Often other companies only offer a 6-month warranty for their products. Both fans have been tested and certified for use in the US so you have that element of safety. They are not tested or have the correct voltage elsewhere. Neither of these fans comes with a remote control which is a bit of a shame. That means you will have to manually turn the fans on and off or changing speeds. That might be a pain for those who want to use it in the bedroom at night. Though to be fair these fans are not designed to oscillate. It is something to be aware of if you must-have an oscillating fan. The fans do however tilt up and down, unlike most tower fans. There is a difference in price between the 2 fans so be sure to check your budget and weigh up the pros and cons. Cleaning the 660 requires removing 3 screws on the back of the fan in order to take the grill off and clean the fan. Alternatively, the 630 requires the removal of one screw and depressing grill clips in order to remove the front grill. It comes down to your needs ultimately. The 660s will do a better job if you have a larger room but the price is higher for that particular model. If you need something a bit quieter for say, your bedroom, or a smaller space then the 630 is going to be more suitable. Neither fan has a remote control but on the flip side, both come with a fantastic 5-year warranty.